Is your horse struggling to take contact or head-shy? Does your horse buck or rear? Kick? Bolt? Is your horse under-performing and you don’t know why? 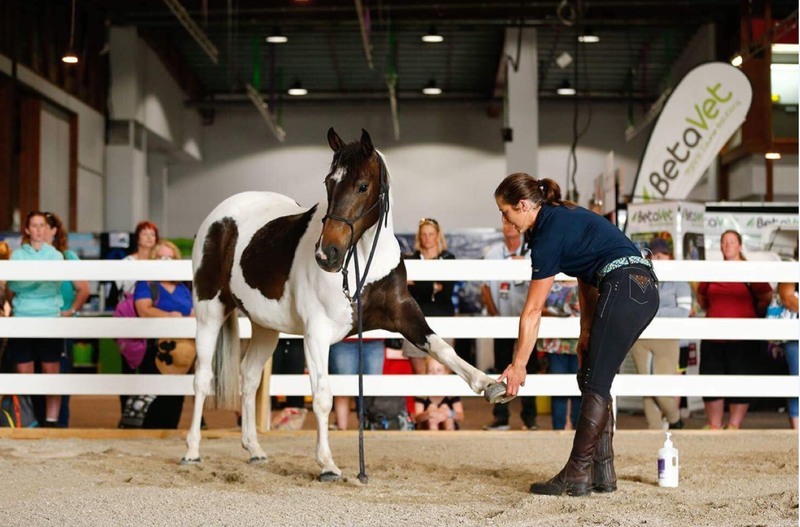 Most horses want to please, so if yours is presenting with behaviour that’s out of character, Vicki Wilson Equine Therapy can help reset the balance. 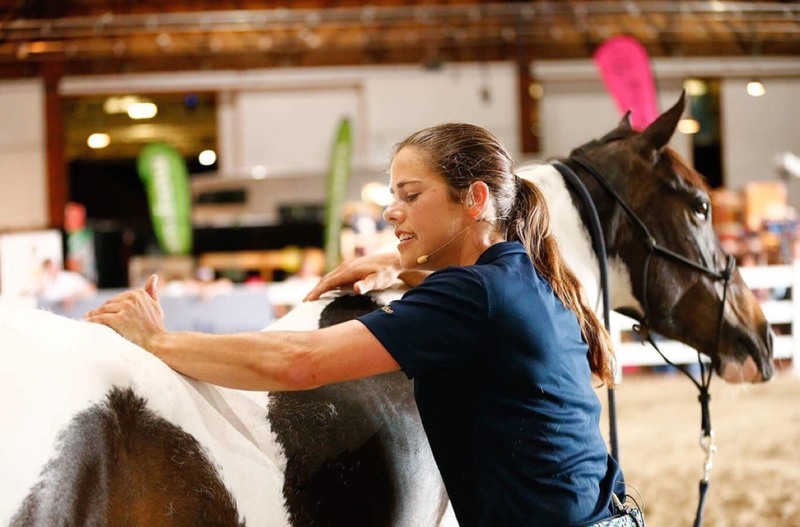 It’s a hands-on methodology which blends chiropractic and muscle work to enhance a horse’s wellbeing and performance. 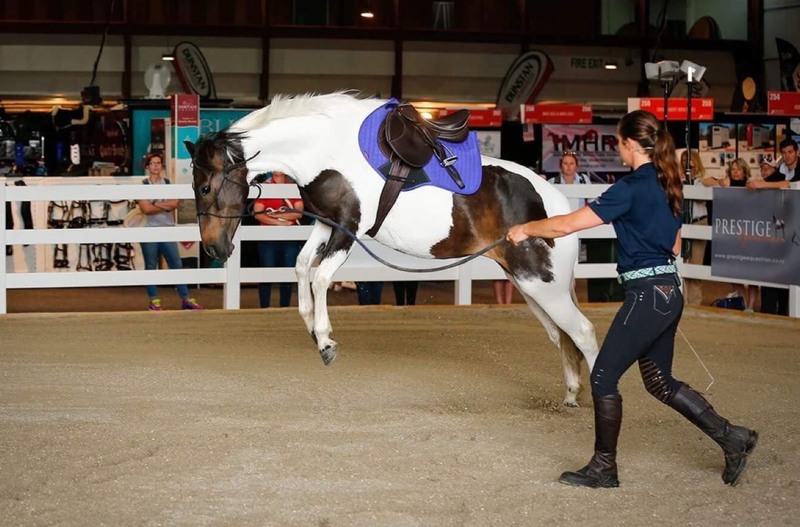 Vicki’s aim is to share practical advice and sharp insights via her workshops that lead directly to happier horses and a better connection between horse and rider. Vicki's unique form of therapy finds and treats the soreness that is often the cause of symptoms such as bucking, rearing, or being head-shy. Behavioural problems are common regardless of riding genre or type of horse. Horses are inherently similar in the way they respond to treatment, but Vicki always assesses each animal she works with in a workshop on an individual basis. Vicki Wilson Equine Therapy workshops can be booked in advance at your premises, or at an appropriate local venue. Vicki only works with horses in group scenarios where she can maximise the numbers of horses she can help (no more than ten). Spectators are encouraged. Apply the Vicki Wilson Equine Therapy to ease soreness and get your horse back to happy productivity. *Some horses have problems that are not muscle/joint related and in such cases Vicki will provide you with useful information you can take to your vet. Results can be immediate (and quite spectacular) but will almost always need more input from you. Each owner will be left with full instructions for ongoing exercises for their horse which, if adhered to, should ensure a complete recovery in most cases. My simple philosophy when it comes to treating sore horses is "to treat one horse at a time”. I know I can’t help every horse but through my Sore Horse Workshops my aim is to give as many people the tools to take away and make a difference to the life of their own horses. I realise that not everyone is able to or can afford to attend a workshop so if you know someone who you think deserves a free Workshop Scholarship or you think this is you please tell me why. Please get in touch if you have equestrian facilities and you’d like to host a Vicki Wilson Equine Therapy workshop. What can I expect from a workshop? Workshops can run over one, two, or three days, beginning at 9am each day. A one-day workshop can finish from 4-5pm. At a two-day workshop, we finish at 5pm on day one with a barbecue and social evening, giving everyone an opportunity to discuss the day. Day two normally finishes by 3pm. What does the workshop cover apart from the sore horse therapy? Discussion topics include teeth management, foot balance, the importance of saddle fit, sheath cleaning, massage and some basic techniques that attendees can take home with them. What facilities do you need to host a workshop? To run the workshop, I need an all-weather facility – a covered round yard or arena. Before confirming a venue, I ask to see photos of the facility to make sure it is suitable. We want all spectators to have a clear view of the horses being worked. I video each workshop for my content library and there is a video and photography-free policy on all sessions. The reason for this policy is animal welfare – some of the techniques I use can do more harm than good if viewed online and then used incorrectly. It’s a case of ‘don’t try this at home’. "Thank you so much for assessing and adjusting Toby. He is like a new horse today. No tail swishing, kicking out or taking off after the jumps. It has been a real eye-opener about owning and understanding horses. I massaged him yesterday and today and it will now become a part of our daily routine. Treating him like an athlete never crossed my mind but is so important."